Tap into my knowledge as a straight-talking SEO consultant. Based in West Sussex but covering all of Sussex, Surrey, London & surrounds. Put simply, SEO (search engine optimisation) is all about ensuring that your website is loved by the search engines. As clever as Google is (and Yahoo!, BING etc) it is still fundamentally just a computer programme – albeit a highly intelligent one that processes algorithms that even the experts can’t claim to fully understand. Unless you build your website and optimise what you put on it with the search engines in mind, they are likely to have difficulty understanding what your site is about. If you give them a helping hand, however, it puts you in a much more likely position to be ranked more highly against your competitors. As an SEO consultant, I help you understand that the search engines view your website differently, and how to speak their language. You may look at your website and think “but it looks much nicer than that other site that appears above mine” and you may well be right, but again, that would be attributing human characteristics to a search engine. Google sees some of what you see, but it is less concerned with your opinion about your website and more interested in making sure that it sends out the best site to suit the query that a user is searching for. Search Engine Optimisation – or ‘SEO’ – shouldn’t be scary, complicated or overwhelming, which is why I make sure that my clients know exactly what I are talking about when I speak about it. I hate techno-jargon. I love digital marketing and SEO, but I’m not a fan of some of the baffling terminology that goes with it – so I don’t use it. As a straight-talking SEO consultant I make a point of explaining everything clearly to my clients and I can confidently say that they won’t need any prior SEO or digital marketing knowledge to understand what I am saying. Looking at the big picture, I question what you want your website to achieve, and then I explain what could be improved to result in a better SEO performance. I won’t just tell you that something ‘is good for SEO’ but I will actually explain why. Life’s complicated enough already. 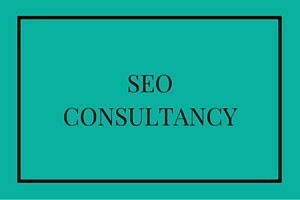 I promise you that engaging with me as an SEO consultant will mean that understanding SEO will not be.